40 mm wide. Width of the chain 8.5 mm. Suitable as an entry zipper for heavy full body suits with front or back entry. 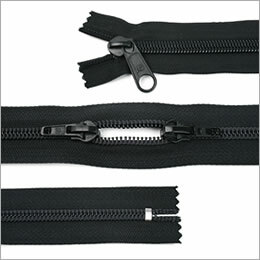 You will find suitable ingredients for shortening the zippers in the selection below.